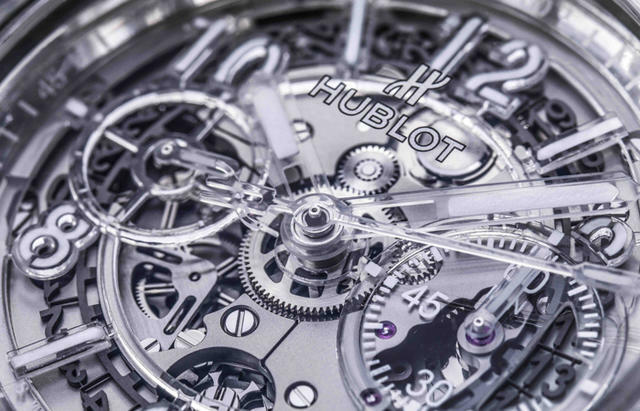 Pioneering materials is at the heart of Hublot. And although the watchmaker isn’t the first to use sapphire (Richard Mille is known for its use) the Big Bang UNICO Sapphire is nonetheless a trendsetter. 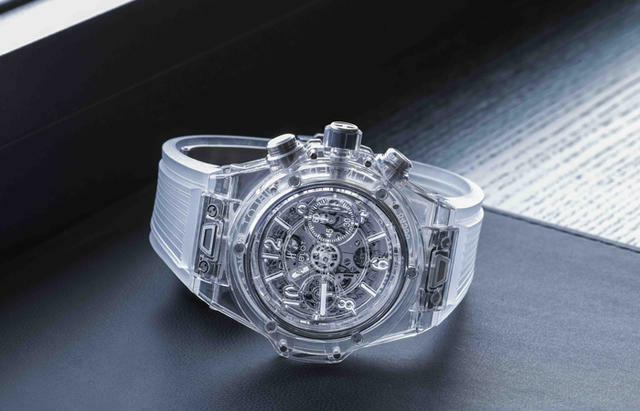 From the transparent strap to the craftsmanship of an entire sapphire case, Hublot is one to watch at this year’s Baselworld. The case middle, bezel and back are cut from blocks of sapphire, a material that is almost as hard and scratch resistant as diamond (9 on the Mohs scale as opposed to 10 for diamond). Though softer than diamond, its one gem counterpart is ruby, which is in the same mineral class. A few parts of the Big Bang UNICO Sapphire are made from titanium: the screws, the crown and the deployant buckle. The skeleton dial, made from transparent resin, reveals the gears of the proprietary UNICO HUB1242 movement and its finishes, and the wearer can see the intricacies from various angles. The HUB 1242 UNICO movement is treated with black PVD and was developed and manufactured in-house at Hublot. 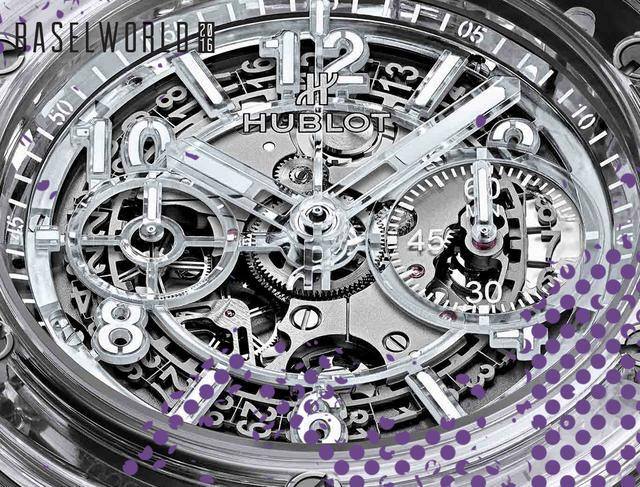 It has a flyback chronograph with a column wheel and double clutch visible on the dial side. 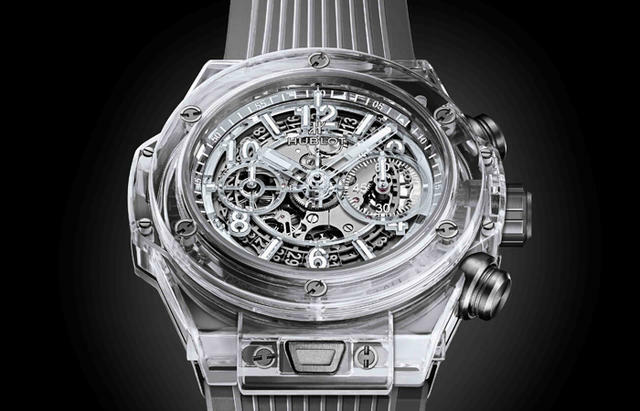 The watch is water-resistant to 100 meters and is a part of a 500-piece limited edition. It is priced at $57,900.